Look killer while you get comfy in this lounge set. 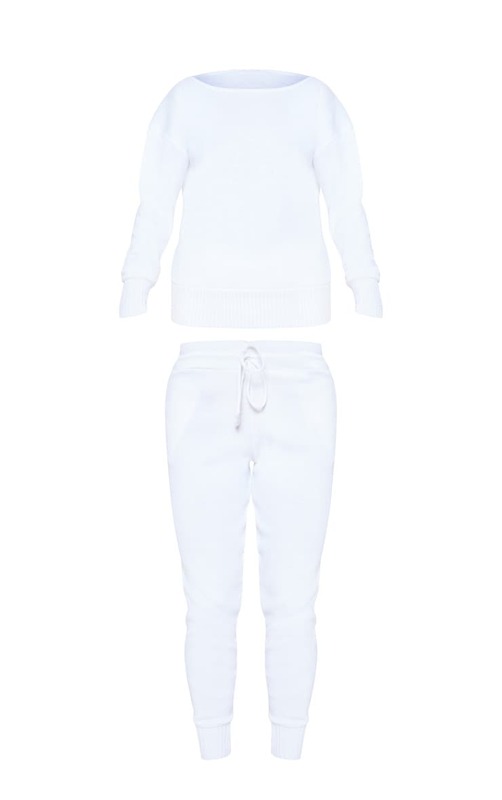 Featuring an off-shoulder top and joggers both in white knitted material, this set is perfect for them CBA days. Style with your fave kicks for a chilled look.